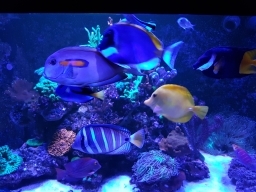 hi guys does anyone know the best live food to add to a marine tank? iv 2 clowns and a royal gramma which eat anything but recently added 2 benggai cardinals which dont seem to want any flake food so im going to start giving them live foods but im a bit unsure about it, whats the best kinds? how much do i add the whole pack? will there be any consequences to adding live food? im just thinking surely some might escape the fish and hide in the tank? i also have crabs and snails. i do feed them frozen but i read that i should mix there diet with live food and as they wont eat flake this is all i can think of. is there any negative affects to adding live food like brine ect? can they damage corals or trigger an ammonia spike? can i feed live food every day or will that be bad for the fish? can the live food live in the tank if they avoid the fish? I feed live feeder shrimp in mine last time I plonked 60 odd in the tank in one go most got flattened by the stock within a few minutes but I did notice some in my sump still alive yesterday but they just help clean the place up. 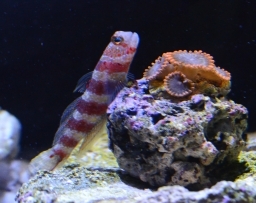 so even if they dont get eaten its not a bad thing as they will help clean the tank? Yeah shrimp will eat stuff providing they live you just have to make sure your system can deal with any that could just die and not be eaten. I added 6 a few weeks back and pretty much the same thing. 4 got eaten, the other two joined the bloody peppermint shrimp and started cleaning rocks!